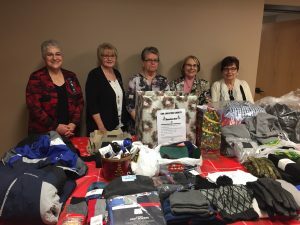 Members of Holy Family Parish Council (Regina, Saskatchewan), with assistance from three grade eleven students of Archbishop M.C. 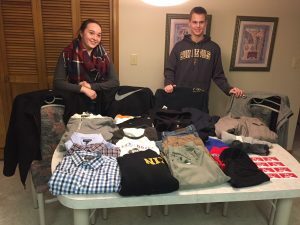 O’Neill High School, filled Christmas wish list items for the Marian Centre Men’s Clothing Room. The centre provides meals and used clothing to men in need.